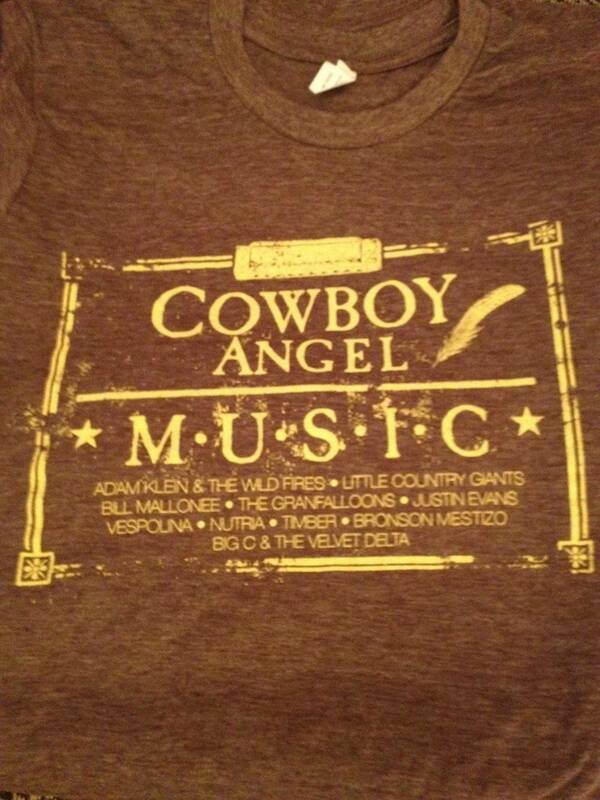 First ever Cowboy Angel Music t-shirts are in! Thanks to Nick Canada and all the fine folks at Satisfactory Printing in Athens. Available at Athens Americana this weekend or purchase online in the Store. You may notice a few new CAM acts on the list. 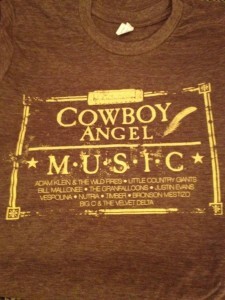 Details on some exciting 2012 releases to come! 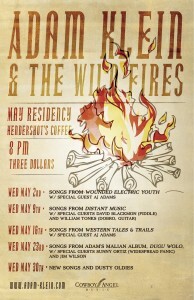 It’s Athens Americana time! 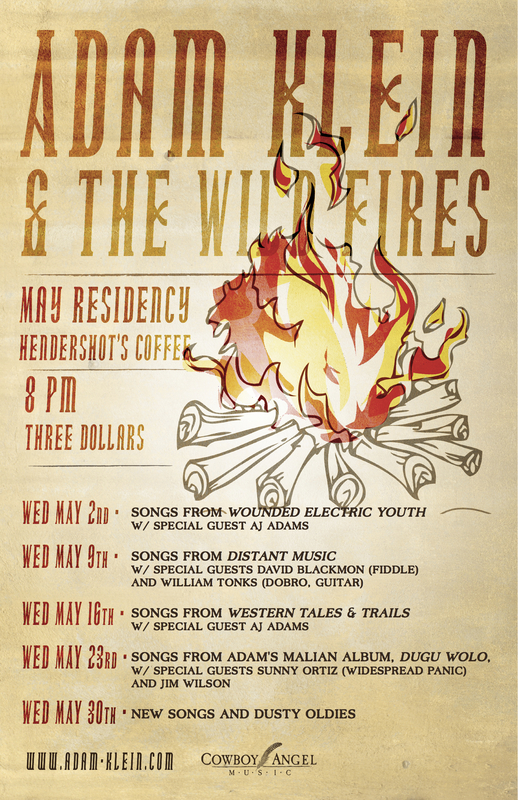 Enjoy a weekend packed with some excellent bands from Athens and beyond, including Bloodkin, Shovels & Rope, New West Records’ and Steve Earle’s band members The Masterons, Dave Marr & friends, Shonna Tucker (ex-Drive-By Truckers), Corduroy Road, plus a few Cowboy Angel acts. Available at Little Kings Shuffle Club and Opening night @ GA Theatre (4/18). 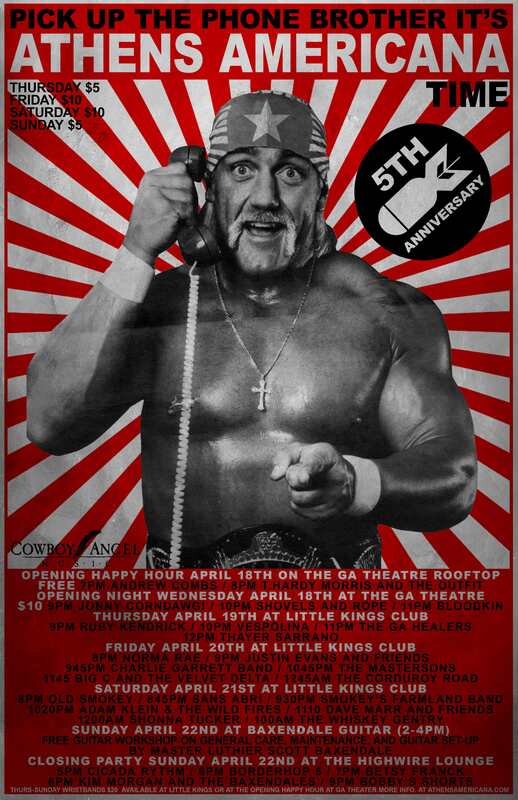 Wristbands $15 w/ ticket stub from Georgia Theatre show on Wed. April 18th. Or purchase wristbands here. Cowboy Angel acts playing at Little Kings..
Visit www.athensamerica.com for full schedule and info, or scroll down for line-up. Vespolina‘s “I Don’t Love You” has been selected for the 2012 AthFest compilation CD alongside songs from Patterson Hood, Hope for Agoldensummer, Reptar, Futurebirds, and others. Congrats y’all!